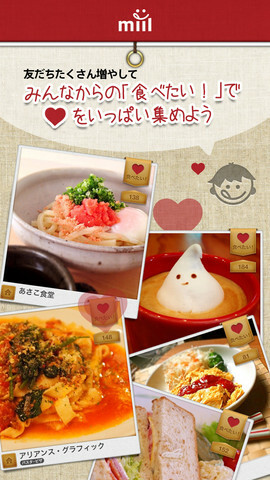 FrogApps is the Tokyo-based startup behind the notable Japanese food photo sharing app, Miil. The company’s CEO Hitoshi Nakamura recently announced he would step down from his current position, and board member Hawk Takahashi will be appointed as the new head. Mr. Nakamura will stay on the board of directors and support the startup as it grows further. FrogApps was founded in September of 2010 and went on to introduce Miil in 2011 . Subsequently the startup fundraised 20 million yen from CyberAgent Ventures in 2011, and 240 million yen from Lead Capital Management and Dentsu Digital Holdings in 2012. According to Mr. Nakamura’s blog post, the food photo app has surpassed 300,000 downloads and 50,000 daily postings and comments. So why the change at the top? 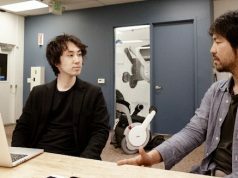 What’s this we’re hearing about a new company co-founded by FrogApps and Mr. Nakamura? We spoke with both the ex-CEO Hitoshi Nakamura, as well as his successor, Mr. Takahashi. Nakamura: I’m better at creating something from scratch. I really like to create something in a form of a service or a product, and then find its value proposition for consumers or markets. I’m feeling that I’ve already done for the app. However, we needed to form a more sound team to keep the service growing. […] From now on, our key focus is finding how we can further boost our business. Looking back to when you first launched, how much has your business achieved to date? Nakamura: I can’t say we have taken the path that I expected. We had a minimum milestone to achieve, and I believe we have passed it. For our users, we have acquired many influencers who can spread the word about food and gourmet. We assumed food-savvy people like dining around town, but the facts were different. Our users like dining at home. I’ve been involved in restaurant business for a long time, and that’s why I thought we wanted to start building a user base among restaurant addicts. Did you find the right sort of business model to accelerate your business? Takahashi: We ran a promotion campaign using food photos, and that was well received by our users. In terms of reaching our target for our possible sponsors, our service is too small to compete against conventional big mass media. However, our user base is specifically filtered around foodies and gourmets. We’ve discovered unexpected insights from our users’ feedbacks. Nakamura: For example, we got sponsorship from Morinaga Milk (TYO:2264) and promoted their chocolate condensed milk products using the app. The chocolate product is an old product, as old as a plain-type condensed milk, but has not been featured so much publicly. When we asked our users to post recipes using the chocolate milk product, we received a bunch of great recipe ideas that the milk maker had never expected. These recipes were subsequently featured on the Morinaga website. Why did a milk company like the Miil app? Was it something like market research for them? Takahashi: Our clients (potential sponsors) may not be satisfied with only spreading the words about their products. They want to create value through interaction with our users. We turned to see how to improve our service and explore more potential business models including using the app for our client to fill their market research needs. In the next year, we’ll be much working on projects in partnership with restaurant businesses. Nakamura: We need switch ourselves from the investment phase to a monetization phase someday. In order to make the business more sound and more sustainable, I handed over my role to Mr. Takahashi. I heard you will be launching a new business called Froggy. What’s that about? Nakamura: I’ve been in restaurant business for a long time, and I’ve learned there’s no innovation in this space. The restaurant business is labor-intensive, and for workers the conditions are not always the best, possibly with long hours or little to no paid vacation. 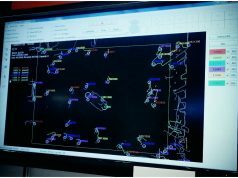 That’s something technology can solve, and it can make a great impact on the industry as well. I can’t disclose much about what I’ll be working on, but I believe there’s more room for services which can work both for restaurant owners and their customers. The new project might be integrated with the Miil app as well, and I hope both can help each other, like the two wheels of the same cart, for example. My interview with them was unfortunately quite short, and they couldn’t disclose too much about future plans. I thought they were expecting to develop a service for driving customers to real restaurants, but I could be wrong. The new project seems to have a different business model from that of the Miil app, and that may be a clue as to what they’ll do next. Disclosure: The author’s wife has a business relationship with FrogApps. Previous articleJapan’s mobile video service NotTV hit 700,000 subscribers. But can it go much further? Next articleU.S. teens show Facebook fatigue. But what about kids in Japan? 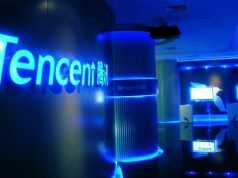 Inside Tencent: What lies ahead for China’s internet giant?